This is great but how do I preview what it will look like before I post, and how can I customise how it looks through the many display options quickly? Well that’s what this site is for! 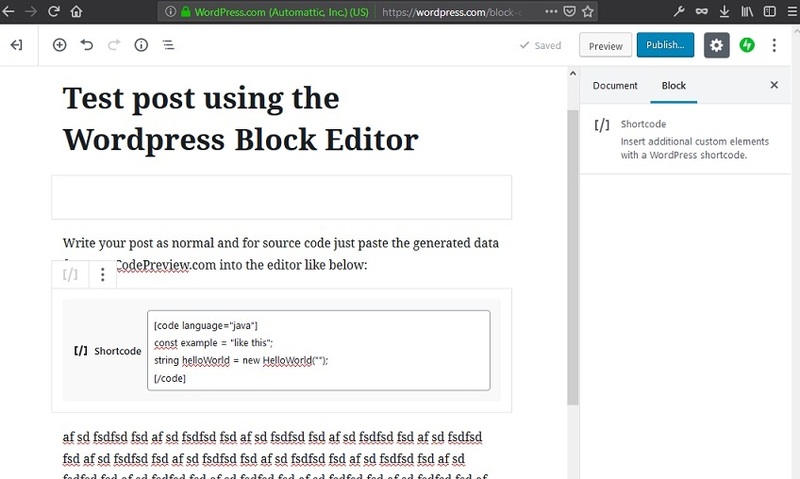 Just type in your code, try out the numerous display options and then, when it looks just how you want it, you can copy the code and the correctly generated short code and paste it straight into your blog post editor of choice. As we are using the built in shortcode functionality of wordpress we don’t need to add any new plugins to Wordpress or anything like that. 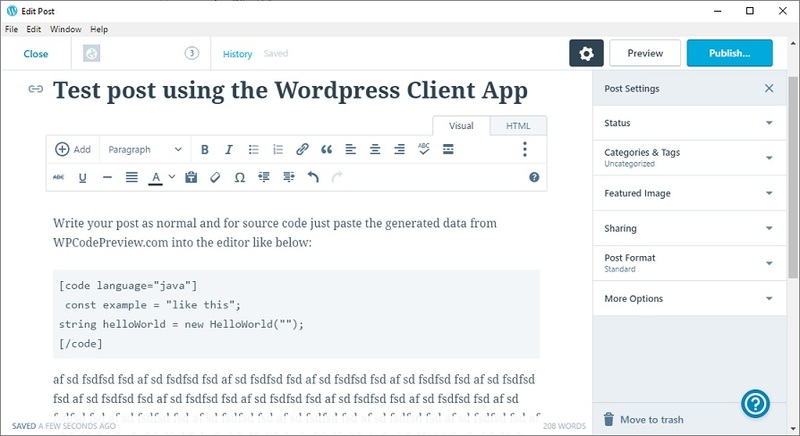 Supports all the features of the WordPress.com code highlighting functionality, such as ‘no toolbar’, ‘line highlighting’ etc, as well as a hige list of languages. 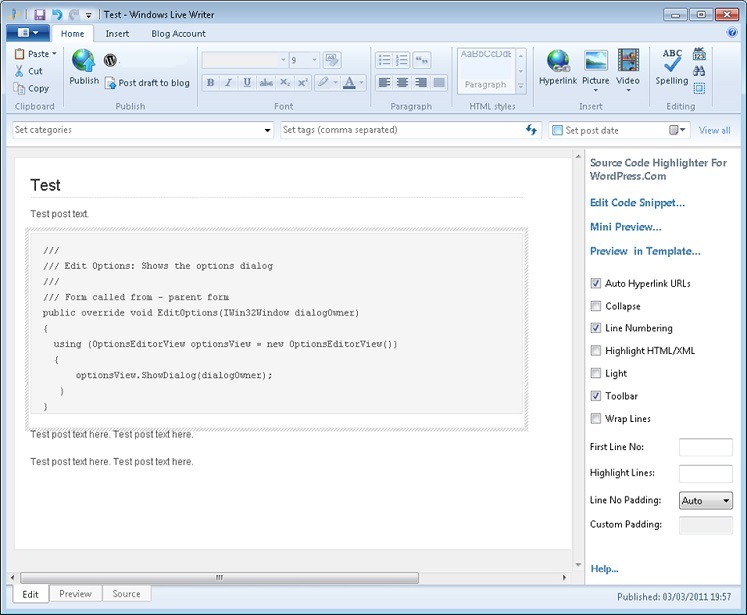 We have a popular plugin that provides this functionality right inside Live Writer. Check it out here.